Going through a separation is hard enough, let alone having to fight for custody of your children. Not only is it stressful for you, but it isn’t exactly easy on the children involved either. They don’t always understand what’s going on or why their parents aren’t together anymore. 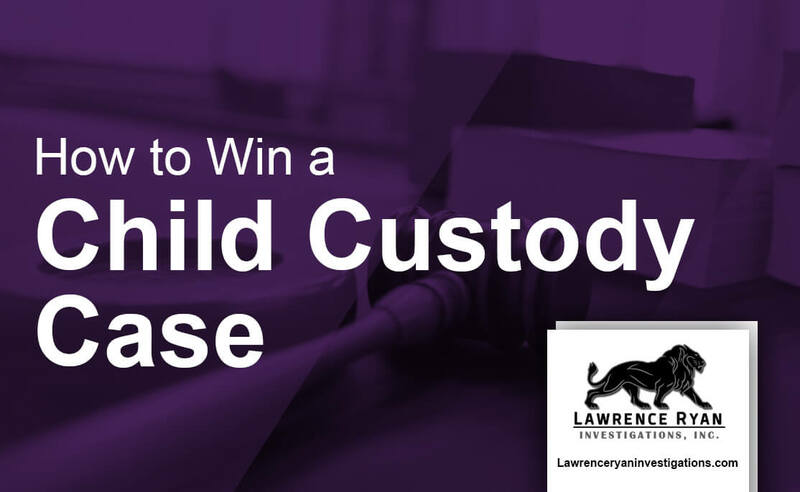 If you are worried about your children and want to make sure you walk away with custody, here are a few tips to help you win your child custody case in Chicago. One of the main things you are going to have to do to win custody of your children is to prove that you are the better parent and that the children would be better off in your home. With a private investigator in Chicago working on your side, that job just became that much simpler. The private investigator will get to work looking for information supporting your case. They will be able to prove whether the other party is working or not and capable of caring for the children. If you are the one working and the other party isn’t, how are they going to take care of the kids? The private investigator will also be able to let you know if there is anything on the other party’s public record or criminal background that you didn’t know about beforehand. If they are someone who isn’t exactly safe to care for the children, you need to know that so you can fight accordingly. The investigator will also be able to identify any hidden assets the other party has. This is especially important if you are going through a divorce and fighting to determine who pays child support and how much. You don’t want to be taken advantage of along the way. By hiring a local investigator for your child custody case, you will be able to leverage their local connections that will help you navigate your local legal system. Typically, they will have relationships with lawyers and legal professionals that give them a better understanding what will give you an advantage for your child custody case. If you are fighting for grounds for full custody of child, you need to prove that you are the better option in the eyes of the court. Judges want to make sure that you are looking out for what’s in the best interest of the children. That means getting them to bed on time, eating their meals on time and taking them to after school activities. By showing that you promote a healthy lifestyle, that is going to bode well in the eyes of the court. You also want to show that you are fine with the children spending time with the other parent. If you do nothing more than talk bad about the other party in front of the judge, it isn’t going to end well. You need to be supportive of the children’s time with your ex and show that you harbor no ill-will toward them, even if the break-up was because of something they did. One of the things that could end your fight for custody is having a drug or alcohol addiction. No judge is going to put children in the home of someone who is an addict because they know it will damage the child emotionally and mentally. Judges want to see children put into a warm and nurturing environment. That means having a parent who is focused on the children and what their needs are, not worried about when they are going to get their next fix. If you have any of these habits, you need to put an end to them right now. Otherwise, you don’t stand a chance of winning a custody battle against your ex. Judges are also going to look at whether your job is going to interfere with your being able to take care of the children. If you have a job that has you working 15 hour shifts and being on call, how are you possibly going to be there for the kids? The children need stability, which means that they need a parent who is going to be there for them in the morning when they head off to school and after school to pick them up and help them with their homework. By showing that the children come first, it can help you win your custody fight. When determining whether the children should be placed with you or your ex, the judge is also going to look at where the two of you live. If the children have been in the same school district for years, the judge isn’t going to want to make them have to start all over in a new town with the custodial parent. If you happen to live in the area where they could stay at the same school and maintain their current lifestyle, that is going to end up helping your case that much more. Judges don’t like to uproot children any more than they have to as it takes a toll on the children psychologically and emotionally. The judge wants to do whatever they can to keep the children in the same place for as long as possible. That way it isn’t as stressful on them having to deal with their parents not being together any longer. After all, it isn’t the children’s fault that things didn’t work out between the two of you. Make sure to bring things like that up when trying to win your child custody case in Chicago. As difficult as it might be to get through everything, you just need to know what to do and how to go about it. While it might not always be the most pleasant battle, you can come out ahead with a little patience and know-how. Make sure to always put your best foot forward and prove that you are the better choice for the children. In the end, it will all be worth the hassle. 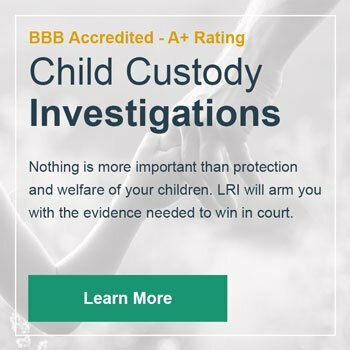 LRI has been providing investigation services for child custody cases in Chicago for over 35 years. We understand the sensitive nature of these cases and our investigators treat it that way. Free consultation with private investigator in Chicago, have your child custody questions answered, and learn how to obtain custody of child.